A unique and rare winter keeper type watermelon. 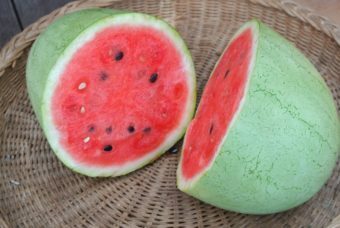 With light-green skin and pink-red flesh, these melons have a good sweetness and excellent flavor. 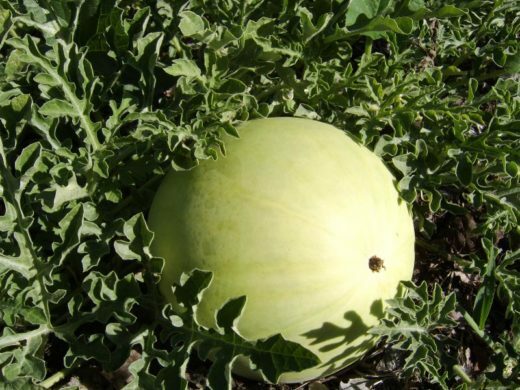 Some refer to this type as a Christmas watermelon because once picked, it can be stored into December. 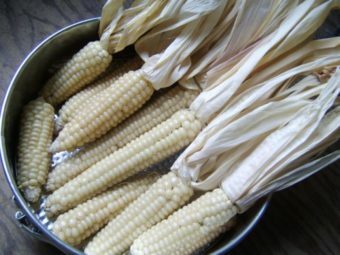 We have eaten them for Thanksgiving and later into winter. 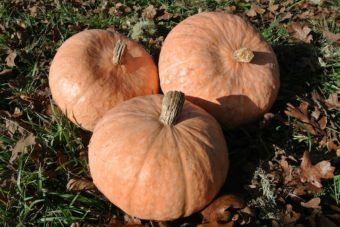 Late maturing for the Northwest but this is no problem if you pick them in October with the winter squash before frost. 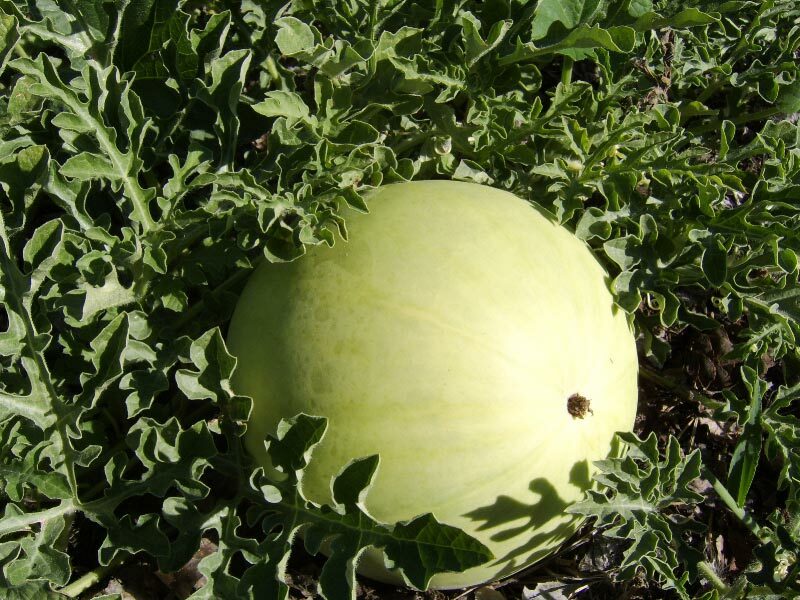 Washington State University trials found Winter King and Queen to be high yielding in quantity of fruit and in total marketable weight with an average of 9 lbs per watermelon. They also reported it to be crack resistant. This variety is preferred by Mennonites in the Midwest for traditional watermelon pickles (both sliced vinegar pickles and brined whole fruit), as it is most similar to the type of melon early immigrants would have used. The vinegar pickle using Winter King and Queen is now listed on the Slow Food Ark of Taste. Once sold by R.H. Shumway’s, and Nichols Garden Nursery but no longer. We have been stewarding this watermelon since 2003 and are proud to have reintroduced it! Re: winter king and queen watermelon. 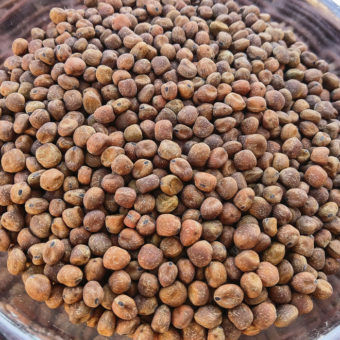 What color are the seeds, white, brown or black?